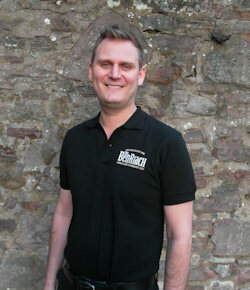 THE BenRiach Distillery Company has appointed Douglas Cook as Regional Sales Manager, it announced today (September 13, 2011). Douglas (35), from Edinburgh, will have responsibility for Asia Pacific and European markets including France and Belgium. A graduate of the University of Strathclyde with a degree in marketing and modern languages, Douglas is a keen linguist who speaks German, French, Spanish, Catalan, Italian and is currently learning Mandarin. He started his career in exporting with United Wire, an Edinburgh-based wire manufacturer, before moving to Germany where he joined the export division of Dornbracht, a family-run manufacturer of high-end fittings and accessories for the bathroom and kitchen. During his career with Dornbracht in Germany and the UK, he gained experience in the management of both retail and international project sales. He developed his passion for whisky when he worked at the Scotch Whisky Experience in Edinburgh. “I’m looking forward enormously to working with BenRiach,” he said. “It’s a fast-growing, innovative and dynamic company producing a fantastic range of award-winning, top-quality whiskies.